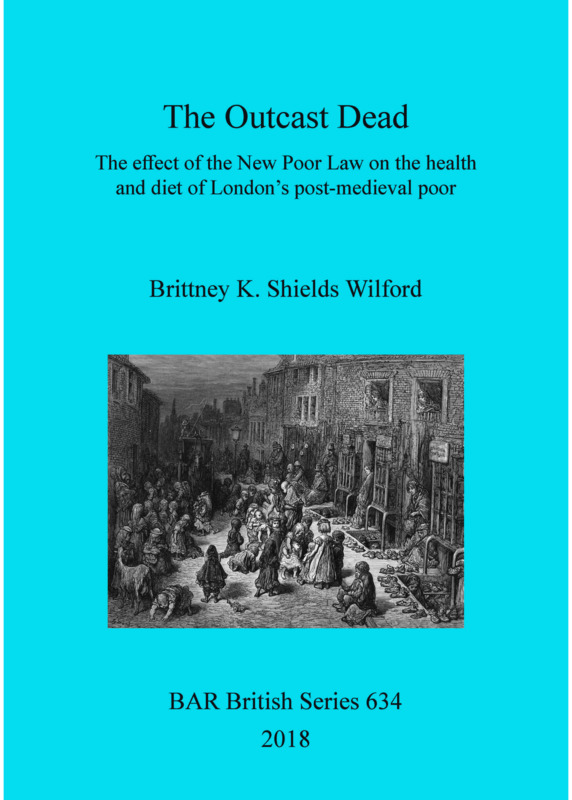 Adopting a multidisciplinary approach, this work presents an integration of osteological and historical evidence to examine the detrimental impact of the workhouse on inmates in nineteenth-century London and to assess whether the 1834 change to the English Poor Laws led to deterioration in health. Due to the new legalities of the New Poor Laws, reformers sought to create a nationalised system of welfare, which culminated in the establishment of the Union workhouse. All aspects of daily life were influenced within the institution, in an attempt to instil the ‘virtues of the independent labourer’. It is hypothesised that the effects of the New Poor law would have exposed inmates to episodes of dietary deficiencies and infectious disease, detectable in the osteological record. This was investigated utilising published osteological data for five Post-Medieval London cemeteries and four associated historical registers of burials. Brittney Shields Wilford is currently working as an osteologist with the National Park Service, USA. She assists with NAGPRA assessments and repatriations. Prior to this she completed an MPhil and MSc in paleopathology and bioarchaeology at Durham University, where she studied under Dr Rebecca Gowland.